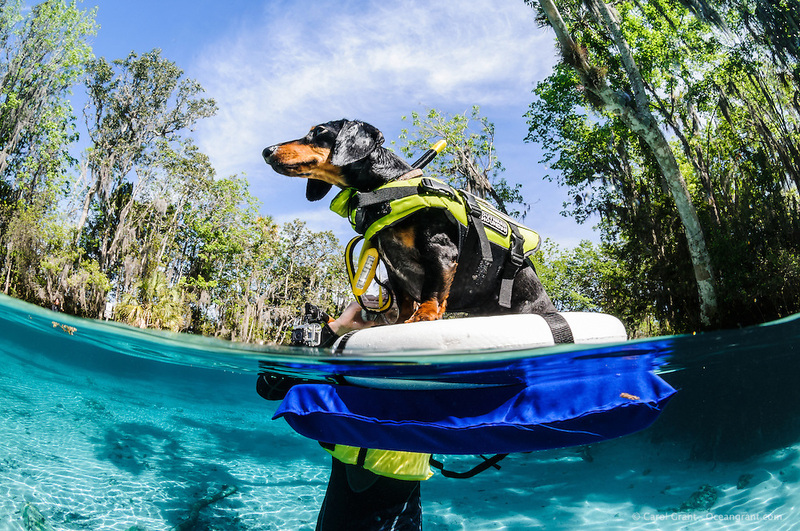 Dog, dachsund, Canis familiaris, in snorkel gear floating on a raft looking into the beautiful blue sky. Horizontal orientation split image. Three Sisters Springs, Crystal River National Wildlife Refuge, Kings Bay, Crystal River, Citrus County, Florida USA.